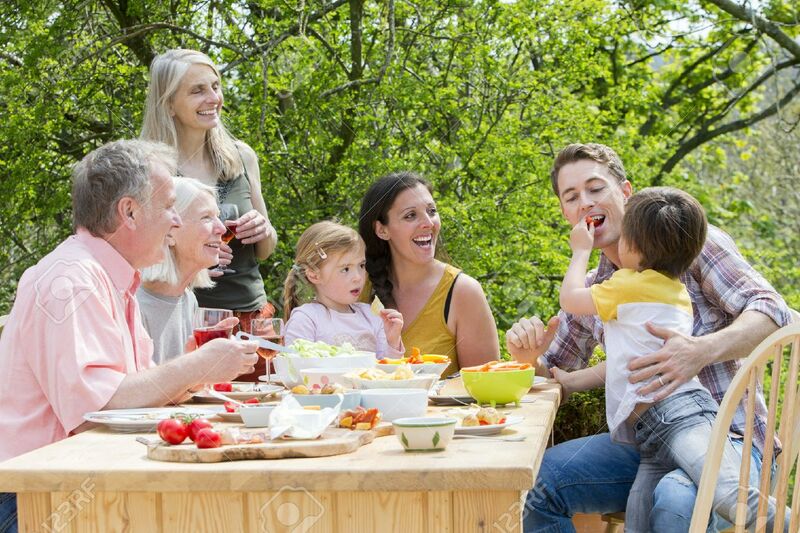 Three Generation Family Having A Garden Party In The Summer. Everyone Is Laughing And Looking At The Little Boy, Who Is Feeding His Father Some Red Pepper. Royalty Free Fotografie A Reklamní Fotografie. Image 69046520. Reklamní fotografie - Three generation family having a garden party in the summer. Everyone is laughing and looking at the little boy, who is feeding his father some red pepper. Three generation family having a garden party in the summer. Everyone is laughing and looking at the little boy, who is feeding his father some red pepper.